Only the two highest ranks entail admission into knighthood, an honor allowing the recipient to use the title 'Sir' (male) or 'Dame' (female) before their name. Honorary knighthoods, given to individuals who are not nationals of a realm where Queen Elizabeth II is Head of State, permit usage of the honor as a post-nominal but not as a title before their name. These recipients are classified as honorary members of the Order they receive, and do not contribute to the numbers restricted to that Order as full members do. 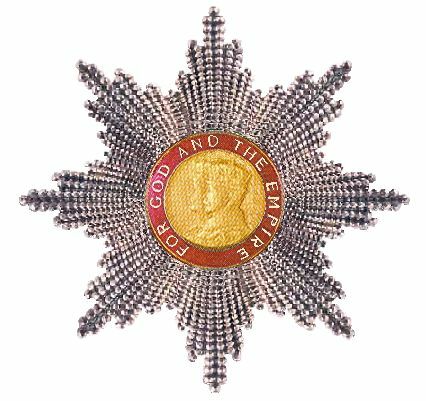 King George V founded the Order to fill gaps in the British honors system: The Most Honorable Order of the Bath which honored only senior military officers and civil servants; The Most Distinguished Order of St Michael and St George honored diplomats; and the Royal Victorian Order honored those who had personally served the Royal Family. In particular, King George V wished to honor the many thousands of people who served in numerous non-combatant capacities during the First World War. Originally, the Order included only one division; however, in 1918, soon after its foundation, it was formally divided into Military and Civil Divisions.